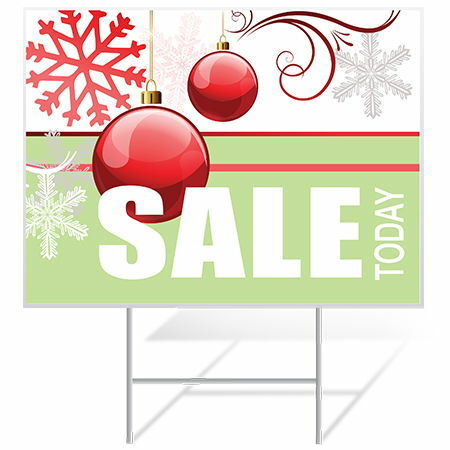 Christmas Banners & Signs - Easy Online Ordering! 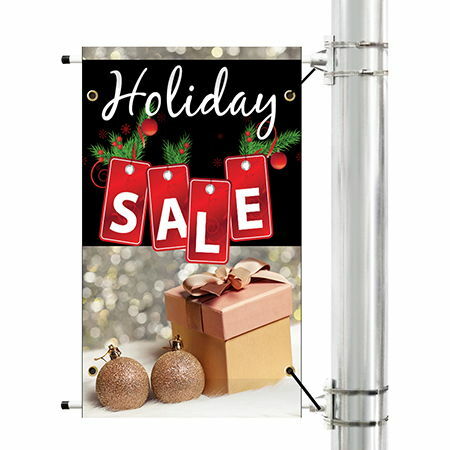 There are many Christmas events that you can promote using vinyl banners, yard signs, and fabric banners! Some of the most common Christmas events include Holiday sales, bar and restaurant specials, Holiday hours, parades, food drives, church events, and school plays. We have lots of different products and materials available, so no matter what your signage needs are, we have you covered! If you need something that you don't see listed, feel free to contact us. 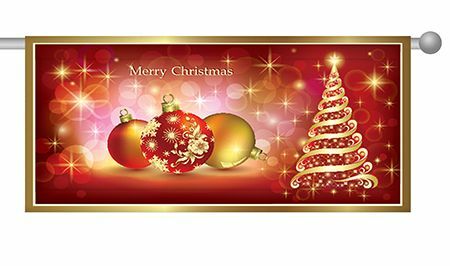 Christmas vinyl banners are great for holiday parties with your loved ones! Outdoor Christmas Banners are great for cities and towns to show their holiday spirit, especially if your town has a holiday-themed parade or another special event. Yard Signs are a great way to advertise outdoors. They can be used to promote retail sales and bring customers inside your store. Fabric banners can be used to decorate for Christmas. The fabric banner material allows for high print quality making them perfect for indoor displays during the Holidays! Pole banners are commonly displayed at churches, businesses, and along the streets of towns and cities. These are great for decorating city streets for Holiday parades or to just spread some Christmas cheer!